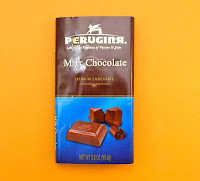 Today was Day #6 of Chocolate and Fig Theme Week. I bought a wedge of pressed, dried fig cake with almonds (from Spain). 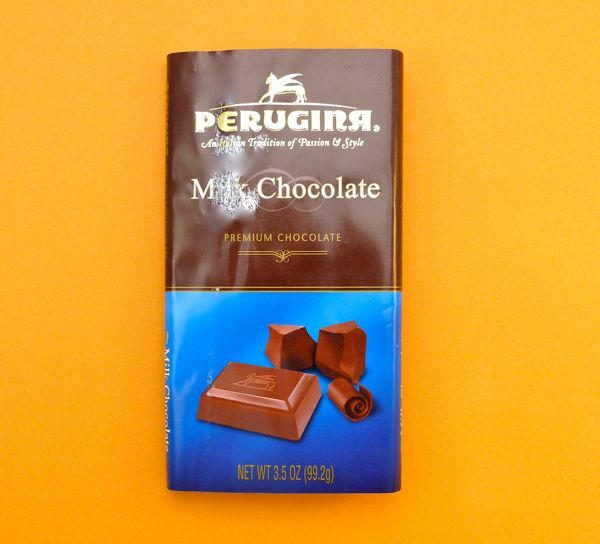 This dense cake became a bit softer and more lovely when heated in the microwave -- and even better with small squares of Perugina milk chocolate (owned by Nestle - Vevey, Switzerland) melting beside it. 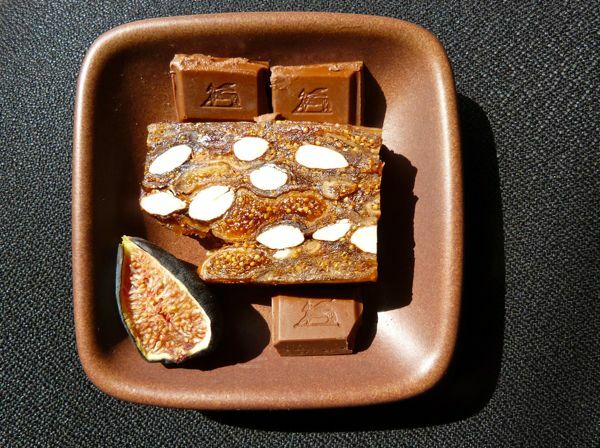 If you like figs and you like chocolate, it's hard to go wrong with almost any combination of the two. But I did like this simple pairing. 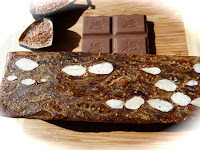 The almonds in the fig cake also added some additional crunchy texture and balanced out the slightly acidic flavors of both fig and chocolate.